Do your shoes need protection? 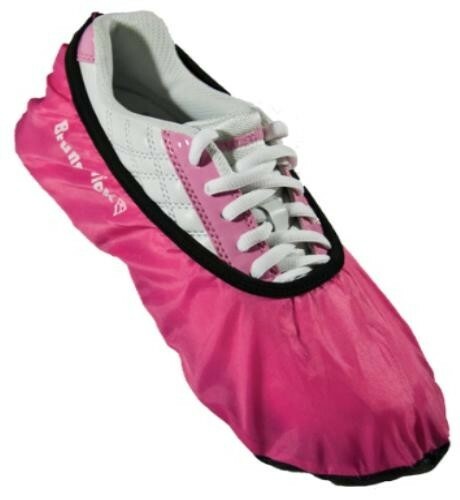 The Brunswick Defense Shoe Cover Pink protects your shoes from moisture, gum, food and much more. So if you need them for walking from your car to the bowling ally, or simply to walk to the food court or bathroom these shoe covers can help! They are easy to slip on and off and they are a must have for any bowler! Defense shoe covers protect the soles of bowling shoes from moisture, gum, food, etc. Due to the time it takes to produce the Brunswick Defense Shoe Cover Pink ball it will ship in immediately. We cannot ship this ball outside the United States.